The delightful seventeenth installment of the ever-popular, perennially best-selling No. 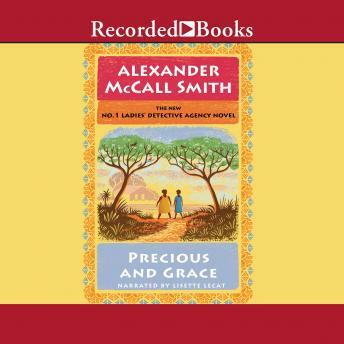 1 Ladies' Detective Agency series Precious Ramotswe, Botswana's premier lady detective, is a little short on help. The co-director of the agency, Grace Makutsi, is busy with her own case, her client none other than their erstwhile assistant, Mr. Polopetsi, who has unwittingly involved himself in a pyramid scheme. The agency's other assistant, Charlie, may also need more help than he can offer, as he is newly embroiled in a romance with a glamorous woman about whom the others have their doubts. So when a young Canadian woman approaches Mma Ramotswe with a complex case, it's up to her alone to solve it-with her signature intuition and insight, of course. The young woman spent part of her childhood in Botswana and needs help finding a long-lost acquaintance. But much time has passed, and her memory yields few clues. The difficult search-and the unexpected results-will remind them all that sometimes it's those we think we know best who most surprise us.